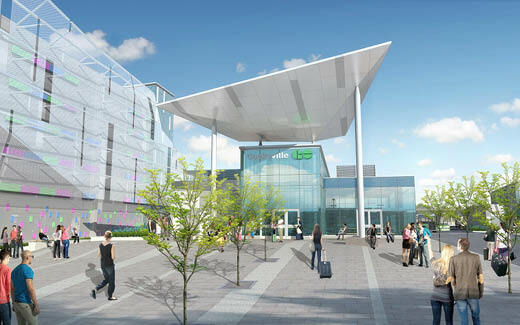 Major improvements are underway at Cooksville GO Station. We're building you a new parking structure with pedestrian bridge to the platforms, station building, tunnels and other amenities that will make it easier and more convenient to access GO services. We’re almost done building the exterior of the parking structure and are now working on the interior. We installed your new pedestrian bridge late last year, and now we are working on exterior and interior finishes. 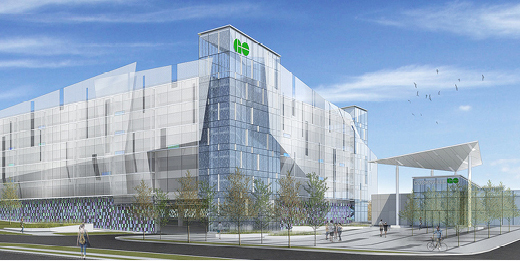 Since the new year, we've been building the foundation of your new GO station building. Soon you will start to see the exterior of station building take shape. We’re also working on underground utilities that will connect to the station building. Work also continues on the west side of the platform where we are building new stairs and elevators that connect to the pedestrian bridge. For your safety, please do not walk between the train and the platform barriers if you are exiting from the accessibility coach - shortcuts can cost you your life. Always use the ramps and pathways provided. Please cross streets at marked crosswalks or intersections and watch for turning vehicles. Please also give yourself extra time to catch your bus or train during construction. Check out our station travel guide to learn more about carpooling, getting dropped off, taking public transit or walking to the station during construction. The guide recommends transit routes based on where you live and even tells you how many of your neighbours travel to the station. You can also sign up for our free carpool program and be matched with a neighbour taking the same train. We’ve even added eight more designated parking spots. Sign up here. Remember you only pay 0.80 cents on MiWay when you use your PRESTO card. 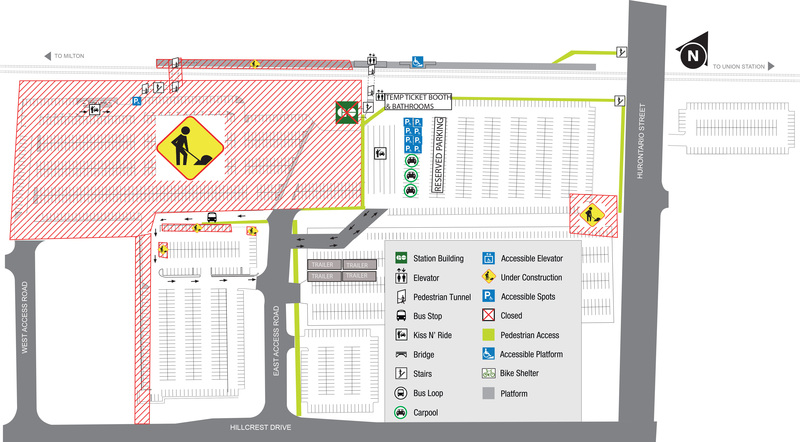 If you’re walking, enter off Hillcrest, John and Hurontario, and follow the marked pedestrian paths once you’re in the station. Erindale GO Station still has some parking spots available. Just remember to update your default PRESTO settings if you decided to make this your home station. As work progresses in 2019, you can expect additional changes to the parking lots and platforms. When we're done working on the west side of the platform and tunnel, we will switch our work to the east side. This means door restrictions will change. We will let you know of any upcoming changes. 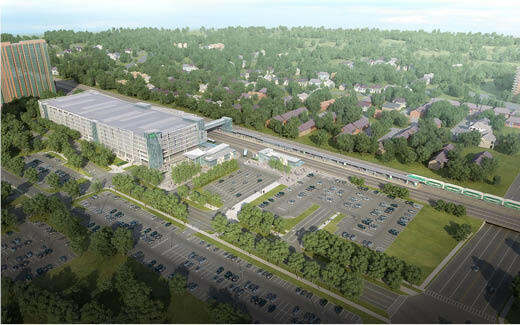 Your new station will also include connections to the future Hurontario LRT line, which we anticipate launching by the end of 2022. Updated Feb 27, 2019 | All renderings are subject to change.